6. Installing the Simple Security WordPress plugin. 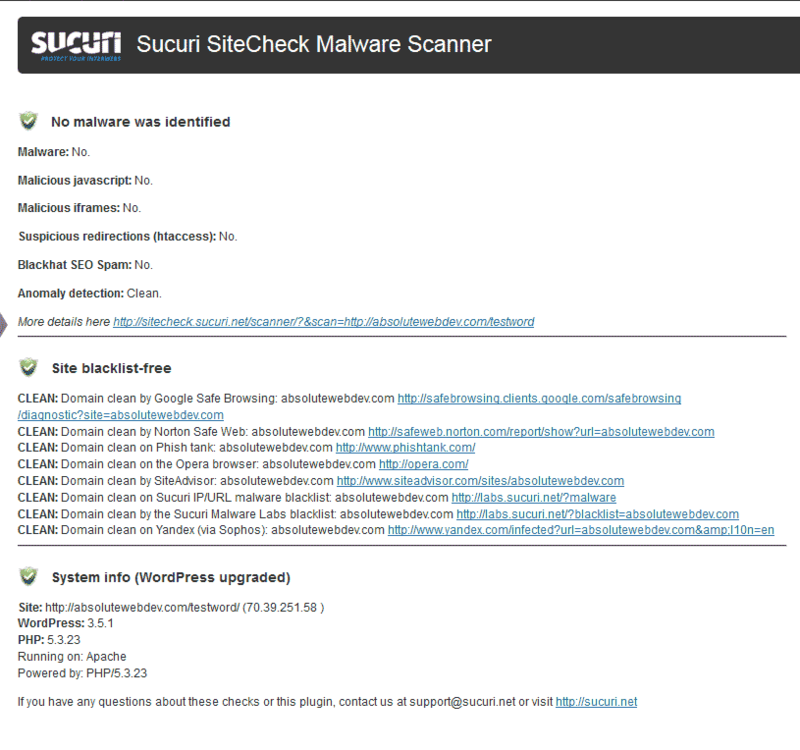 To analyze your WordPress site for Malware and other security risks, you can use the Sucuri Security - SiteCheck Malware Scanner plugin for WordPress. This article will explain how to install and set up the Sucuri Security - SiteCheck Malware Scanner plugin for WordPress. Log into the WordPress Dashboard. 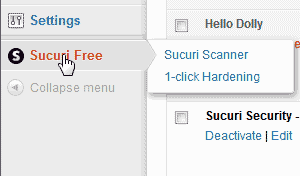 Click the Sucuri Free link in the right nav bar. Click Scan this site now! When done you will see the scan results for your site. You will have the following scanned on your site. 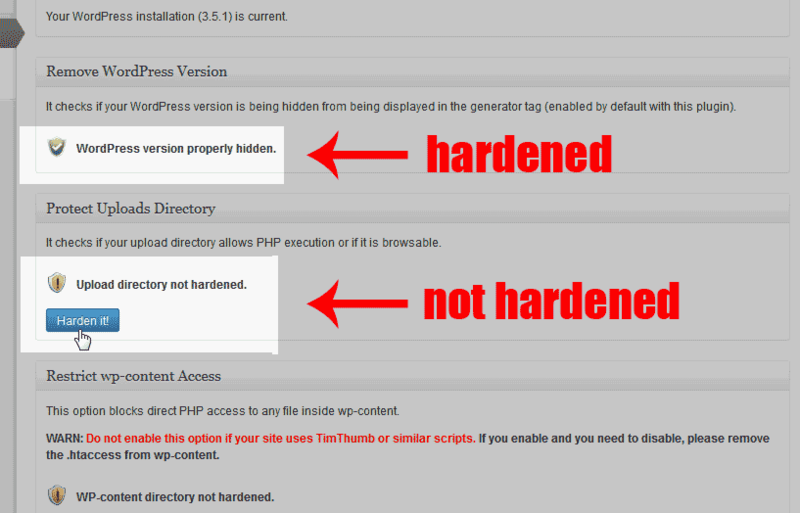 Next, click the 1-click hardening to secure your WordPress. The image to the right shows you what directories are accessible. Hardening the directories will prevent them from being accessed online.